Family-owned & operated since 2002. Holistic Pest Solutions, Inc. (HPS) is a Residential & Commercial Pest Management company that embraces the philosophy of incorporating the whole environment when investigating for a solution. In other words, we don’t just spray product to kill pests. We identify those factors that are contributing to the pest problem and offer a resolution for better, long-term control, with minimum chemical impact on the environment. great company! I have been using Ty and his team for years. They are very responsive, professional and thorough. Highly recommend! Responsive, quick, and thorough, the people at Holisitic Pest at the best possible option for pest control. We sincerely appreciate your integrity and good humor! HPS is super knowledgeable about your pest solutions and concerns and spell out everything that will be done. We will certainly be using them again and recommend them to anyone who asks. We had a severe ant problem that is now solved. Great service! This was my 1st time using the Company. They were very helpful & connected me with a Tech in a couple minutes. The Techs i spoke with (Ryan & Sam) were very informant about their products & answered all my questions. The Techs were very professional when they showed up & went above & beyond for the customer. I would absolutely recommend this company to anyone needing their services!!! Thx so much for all your help Folks!! It’s always nice to work with a Co. that knows how to do their jobs!! Josh, our technician, is a great guy...does a good job on service and always willing to address any other questions. Samantha in the office is always helpful, courteous and prompt to respond. Love their products in that we have kids and a dog and do not need to worry about what is being used. I’ve been impressed with their knowledge and professionalism. They’ve resolved our mouse problem that had really gotten out of control, and they have done so in a friendly, informative, and thoughtful manner. I recommend Holistic Pest Services to all of my friends! Lewis is awesome! A true professional and expert in his field! This last time I didn’t have advance notice of arrival. This really needs to be addr seed in the future in order to have doors opened and ready. I had to reschedule my other appointments which was very inconvenient. You technition Sam was superb as always. Always on time and results are a1! 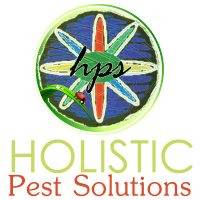 Holistic Pest Solutions has helped us for 10 years with our pest problems. They are always friendly, attentive, knowledgeable and effective! Thanks🎈. Once I got in touch with them they were great, my only issue was I had to call numerous times to reach someone! The experts were speedy in setting up the appointment and getting it taken care of! Louis is great - very helpful and friendly. We feel very good about the pest protection that we now have across the 4 buildings on our farm. Thanks! Always courteous, reliable and professional. The agent clearly explained the reasons for the infestations we were having and how to deal with them. Most important, he told us how to deal with some of the problems ourselves, saving us money. Had Holistic spray my house due to paper wasps. Sam did a great job. They are professional, and knowledgeable. Josh does a great job when coming to our facility for service maintenance. Always, reliable, kind, and efficient. Lewis did an excellent job at our facility getting rid of yellow jackets and their nests! Professional, quick, courteous & reliable work. ~Thank You. Tyler was very helpful prompt and very nice. No bees yet!😊. Ty was great, professional and curtious! Would recommend. Ty was very good about communications and explaining what my options are. He arrived on time for both appointments, recommended a relatively non-aggressive solution to start and got into all sorts of nooks and crannies. And then he helped me with a hose connection that had completely baffled me, very much beyond his his job description. I much appreciate the concern that he showed for the environmental safety for me and my cats. You have my business for life! Holistic Pest Solutions did a fantastic job of solving my problem with ants in the house. Josh is very knowledgeable and courteous and a pleasure to work with. Great customer service and it seems to work! The technician always lets me know when he'll be here. Holistic Pest Solutions employees are courteous, thorough, and responsive to specific requests. We are very pleased with their services. Ty Was very knowledgeable and professional. I am very happy with the service. He removed two wasp nest that I didn't know were there but continually had wasp in my screen porch, and the ants are not around any more. Huge Thank You!! Josh was wonderful! Very professional, helpful, informative, honest, and very pleasant and nice. we still have a few mouse, but are travel from other business. we have all the feed they need. Holistic values their customers and does a great job of coming out quickly, educating and treating. Ty is easy to talk with and a genuinely nice guy. He listened to my concerns and was very responsive when it came to addressing specific pest problems in our home. Your staff are very professional, courteous and dependable. Can't ask for anything more. Thank you. The service is very efficiently run and seems to be effective in our yard. You are so customer service oriented! It's a pleasure to interact with everyone. And you keep our home bug free! Thank you. We have been using Holistic Pest Solutions for years. Very happy with there services and friendliness. Tyler was able to investigate my problem - carpenter bees - the day after I called. He confirmed my suspicions and located a second nest. He treated both and educated me as to the pest problems rampant this year in particular. I will not hesitate to call him again if needed.